One of the projects my team has been working on for a while now (I think it’s gotta be eight months?) 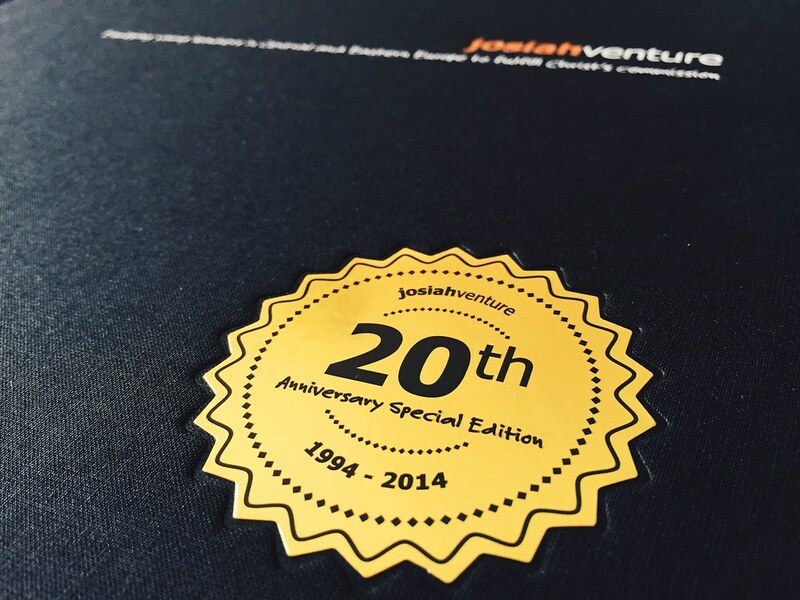 is a photo book to commemorate twenty years of ministry for Josiah Venture (JV) in Central and Eastern Europe. When you do design work, and work on designs that are literally going to print, there’s nothing quite like getting the finished product in your hand. 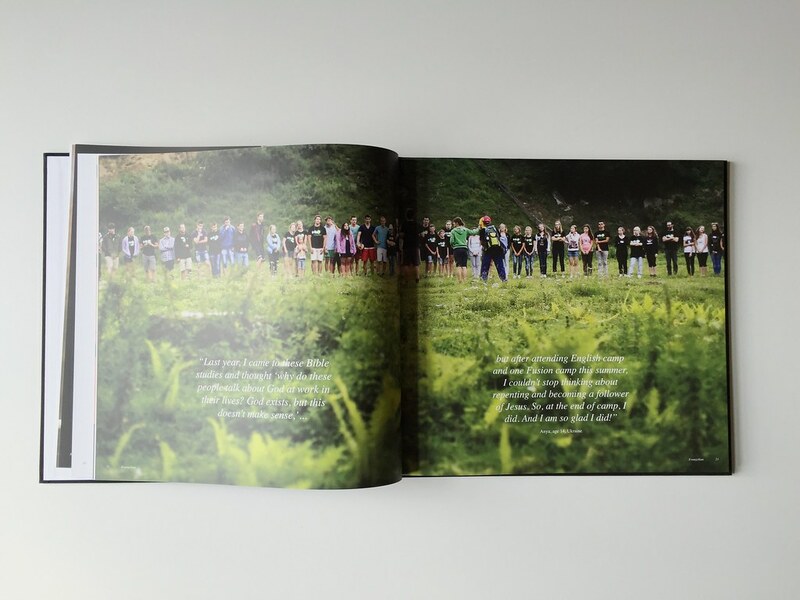 For my team, that day was today when we finally got to see this photo book and feel it with our own hands. When the printer dropped off the books today at the office my heart was pounding because of the amount of work that went into getting this thing just right (I was probably nervous I would find a typo!). We really wanted this book to be something special for the many donors who have faithfully given to Josiah Venture over the past twenty years, but more importantly as a testimony to what God has done in the lives of young people during that time. Ministry continues to ramp up for Josiah Venture and there’s a bit of a buzz in the office as we prepare for the upcoming Spring Conference. The conference is an annual event for Josiah Venture missionaries and this year’s theme is “Family on Mission.” Our team continues to work hard on all the conference graphics and materials and I’m excited as well for that project to come to fruition. There’s so much that goes on behind the scenes that I hope will eventually bless all of the missionaries who will attend. The weather was just incredible today and it really couldn’t have been more perfect. Bethany took the kids outside a lot this afternoon and it was just one of those days where you could take a good book and enjoy reading in the sunshine. As the days warm up there are just a lot more people out walking the streets and getting some sun which is a nice change from the cold, overcast winter. We are continuing to see more and more flowers and trees blooming which add color and life to the landscape. We’re praising the Lord for his goodness in the weather change and for all that He’s doing in our lives!